A contemporary shaker style bed frame made from Solid Oak and Oak Veneers. This is a robust bed that has the benefit of a fully sprung slatted sleeping base to give great comfort and extra mattress life. 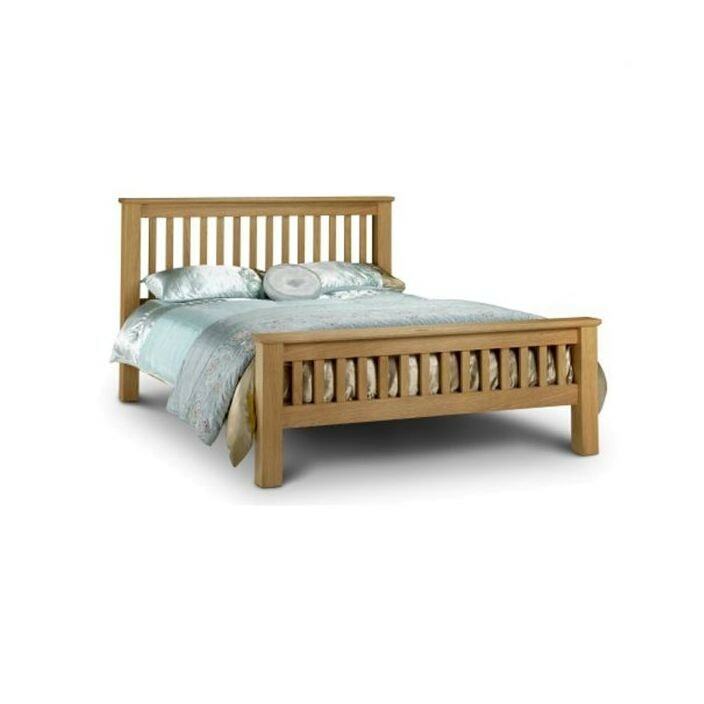 Handcrafted and carefully built by experts the quality of this bed will astound, so brighten up your wonderful home today with this stunning oak bed.